Tibet came top of 25 Chinese provinces and municipalities that had released their half-year GDP growth figure as of last Monday, thanks to investment in infrastructure and local industries. The economic growth of Tibet was 10.6% during the first half of the year, extending a 23-year streak of double digit growth and 3.9 percentage points higher than the national average for the same period. Southwest municipality Chongqing also reported economic growth of 10.6 percent in the first half, joining Tibet and a string of hinterland provinces that have defied the economic headwinds holding back growth in the more developed eastern coastal provinces. Stellar economic growth in the country's western region came as authorities ramp up infrastructure spending to offset a decline in foreign trade and private investment. Tibet's robust growth is underpinned by strong investment in infrastructure. The autonomous region also invested in tourism, bottled water and food manufacturing in hopes of making them into pillar industries to drive sustainable growth in the long term. The poverty alleviation program also helped stimulate growth, with over 2 billion yuan already invested in relocation program. 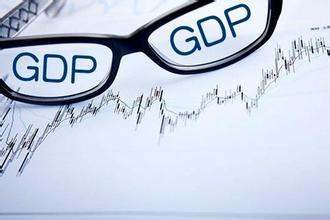 The regional authorities also eyed double digit growth in fiscal income, household disposable income and fixed assets investment in the five years.